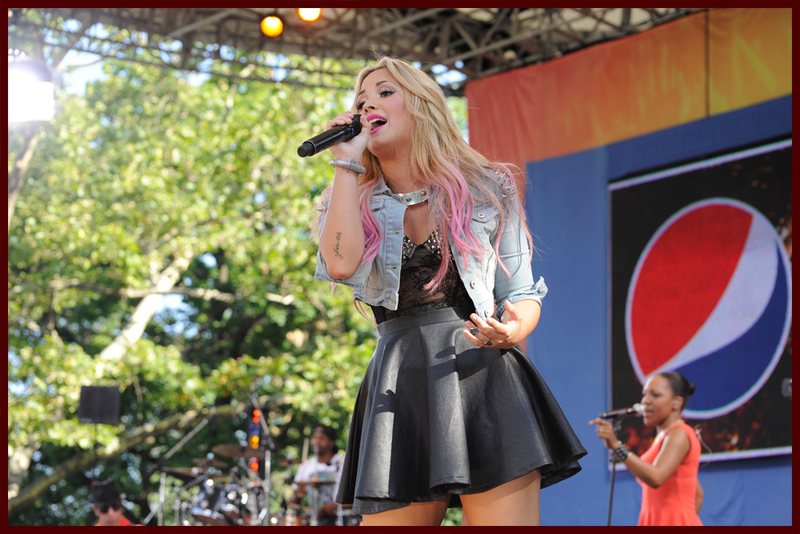 Demi Lovato was up bright and early to rock the Good Morning America Summer Concert Series stage. 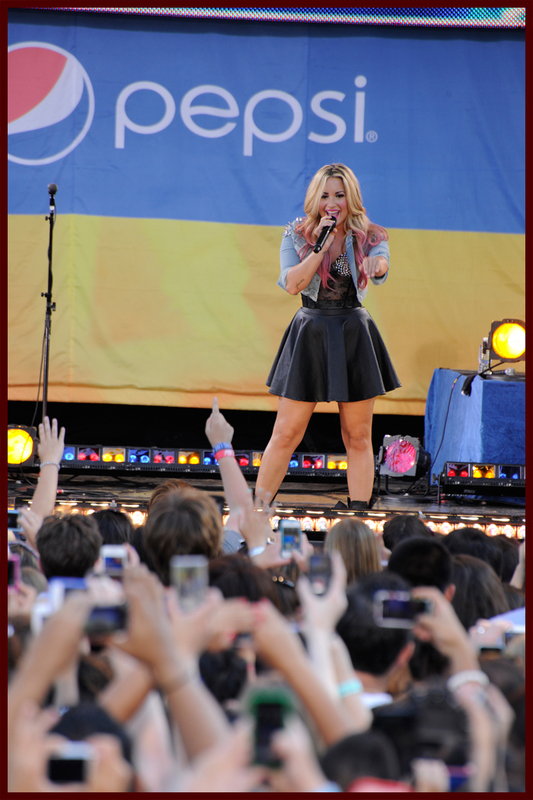 Demi rocked a black skirt with a black mesh top and a jean jacket, both with awesome studs! Plus, we are still loving Demi with the blonde locks and the pink makes it super fun for summer. 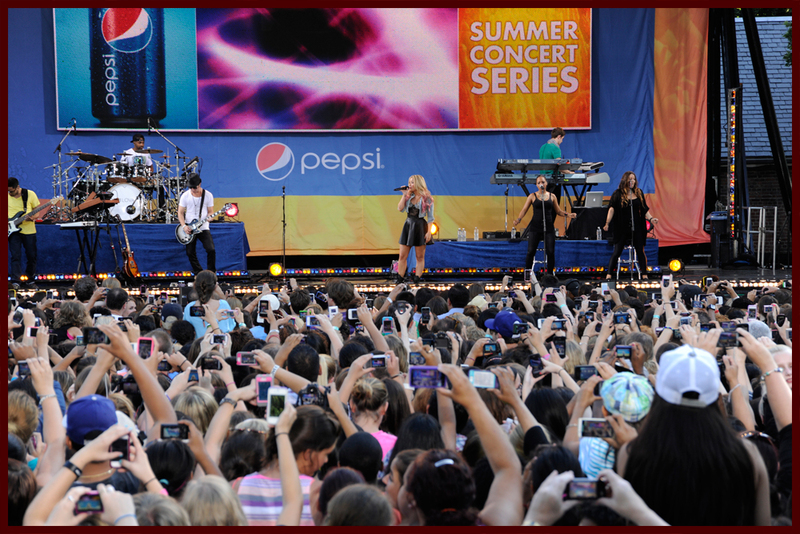 Demi performed three songs – “Give Your Heart a Break,” “Skyscraper,” and “Unbroken.” She even treated the crowd to an encore performance of “Fix a Heart,” which wasn’t shown on TV. 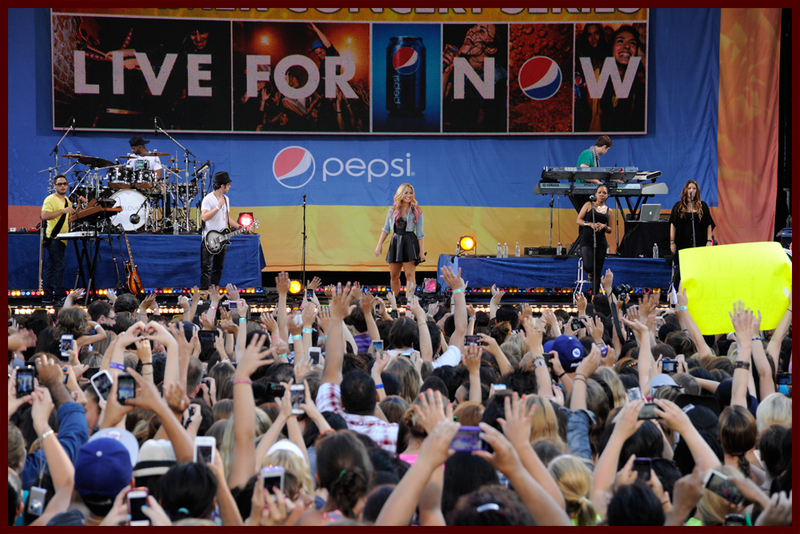 Click inside for 10+ pics from GMA and Demi’s performance & interview. If you missed Demi’s Self cover, check that out here. Next articleMcFly Announce Two US Shows This September!